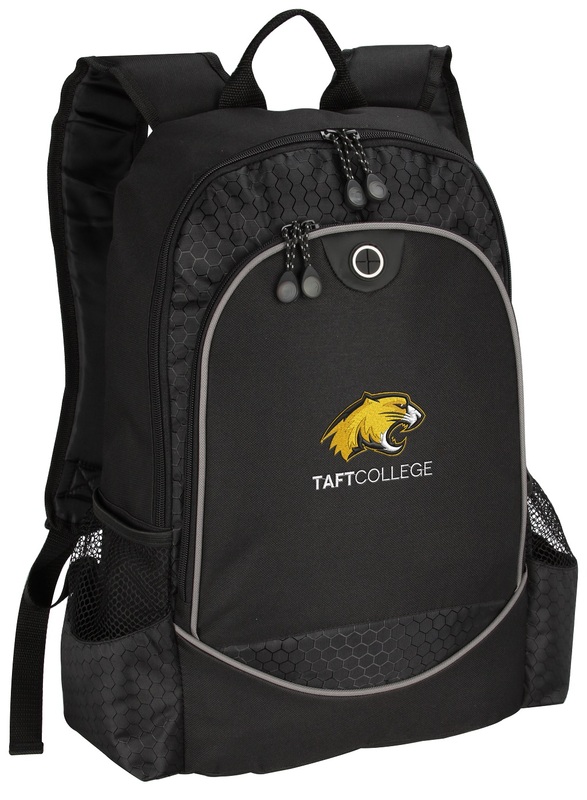 Backpack is embroidered with the with Taft College logo with cougar mascot. The rear zippered compartment provides padded storage for up to a 15” laptop and its requisite power cords. Store files and reading material in the rest of the ample main zippered compartment.